Home> Resource> iOS Transfer> How to Transfer Music from iPhone to iPhone X/8 Plus/8/7/6S/6 Easily? Get a new iPhone and wish to move the music files from your old iPhone to the new one? Or just wish to share some excellent music files with your friends by transferring the music file from your phone to his/her iPhone? We know that iTunes is the default music management tool for iPhone users, but more and more facts and feedbacks have proved that transferring contents from your current iPhone to another iPhone with iTunes will speed too much time on backup or restore. So more and more iPhone users may don't want to waste few hours to the tedious and boring backup and restore task. 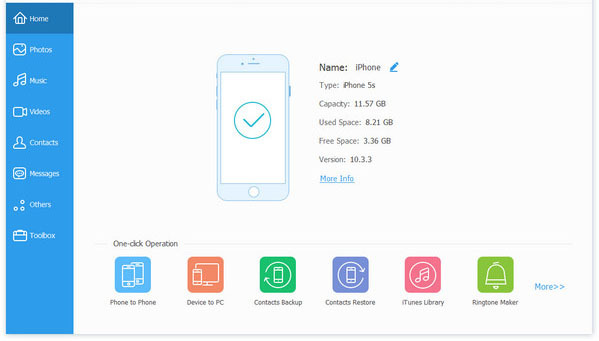 Thus, here we could like to recommend all iPhone users with a powerful iPhone to iPhone Transfer program, which allows users to copy or move music between two different iPhone devices with one simple click. 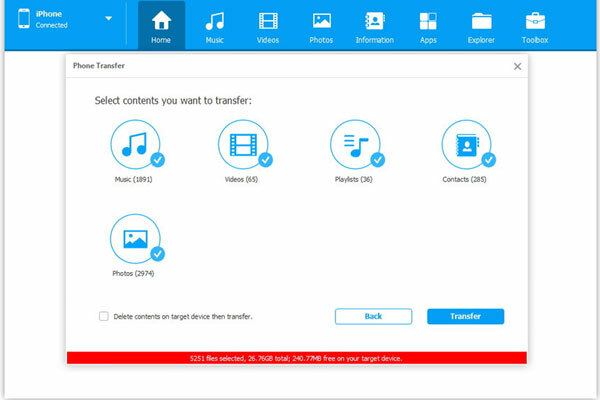 iPhone Transfer is a desktop application, that allows users to transfer or sync data from iPhone to computer, iTunes library or other devices easily. And it not only supports iDevices like iPhone, iPad and iPod, but also compatible well with Android devices well. And you're also allowed to use this program to manage your iPhone data well. Now, just click the below icon to get the free trial version and follow the instructions to start the whole process. 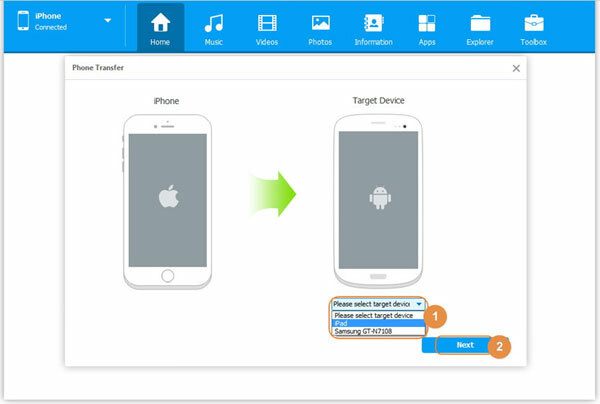 Launch the program and link the iPhone device into the computer. Just use the USB Cable to connect the two different iPhone into the computer at the same time. Be sure you're under the source iPhone control panel. Select "Phone to Phone Transfer" and select the ouput device in the pop-up window. Then, click "Next". Tick the option of "Music" in the middle of the panel, and then click "Transfer" button to begin the transmission.